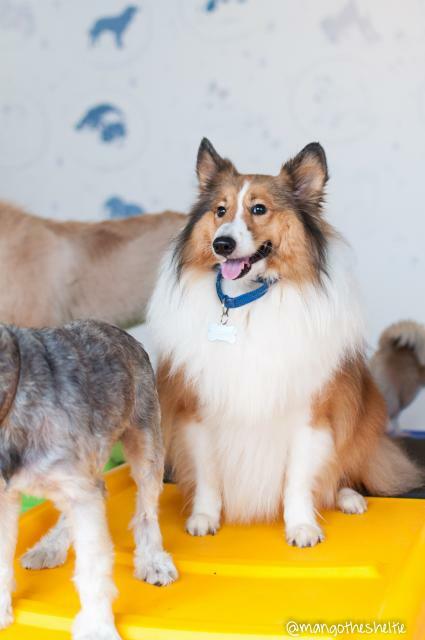 Mango had his full grooming session at Wagging Rights SG last Sunday! And just the week before, also at Wagging Rights…. He’s like a fat A shaped ball of.. messy fluff. Maybe it was the sitting position? Okay the above was taken also about a week apart, in similar positions. Like magic!! This boy actually hates bathing and nail clipping. But he loves the towel dry / blow dry / brushing. Maybe because Sheryl always works her magic on him? I always can’t stop touching him all the time after a grooming session!!! A good groomer does not stress your dog out. Your dog should be happy when coming out of the groomer’s and not traumatised-looking. Why would you want to send your dog to an unhappy place anyway? Wagging Rights uses Show Season’s grooming products, which is a highly acclaimed grooming product for dogs, used by many dog groomers! So Mango always comes back so soft and silky and nice to molest touch. Also, I think he’s starting to shed tons after having him for almost 2 years and waiting for his fur to grow out… But Sheryl says this is still not a full shed. :O So she helped me to deshed him (removal of undercoat) and trimmed a little of his fur. Even his unruly backside is so neat! I’ve been keeping track of his fur progress, and the first photo (top left) was the first few days when he first came! And most recent photo (bottom right) was in August after grooming somewhere else. And the below photo in similar position taken after grooming! I feel he looks more shapely now, with more curves than just fluff, and his fur is really neat. Love it! 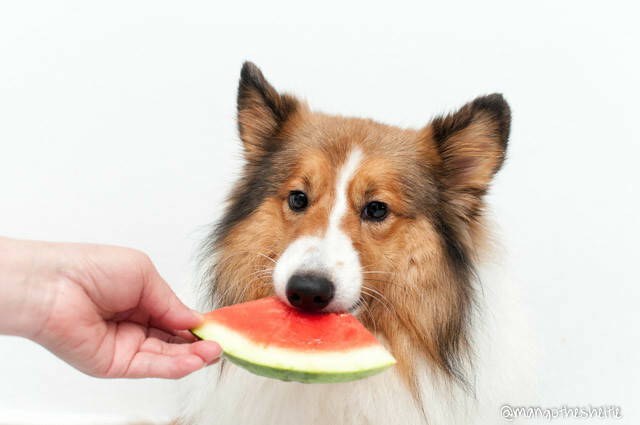 Dog grooming is important (case in point: Mango). 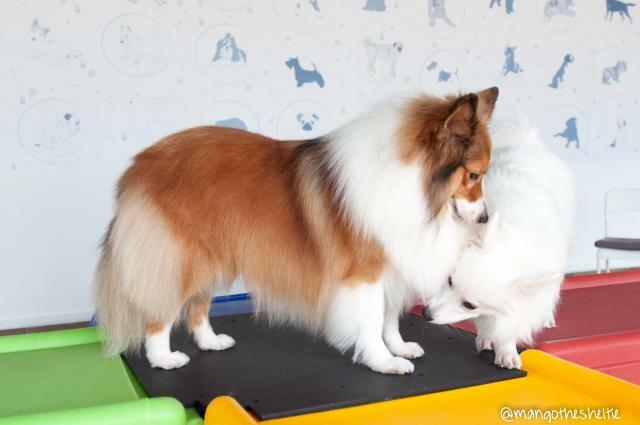 I’ve been sending Mango to Sheryl for grooming since getting him nearly 2 years ago – tried a new groomer the last round but didn’t really love the outcome of Mango’s fur… compared to my usual with Sheryl. Mango initially did basic grooming every 6 weeks, just to ‘tame’ his fur, full grooming every 6 months or so? So about 3 basic groomings then 1 full grooming, if I remember correctly. Now, with his fur more or less stable and me learning how to brush him, he does 2 basics then 1 full, 2 months between each grooming session? I’m not perfect in discovering all the little matts, unlike Sheryl. 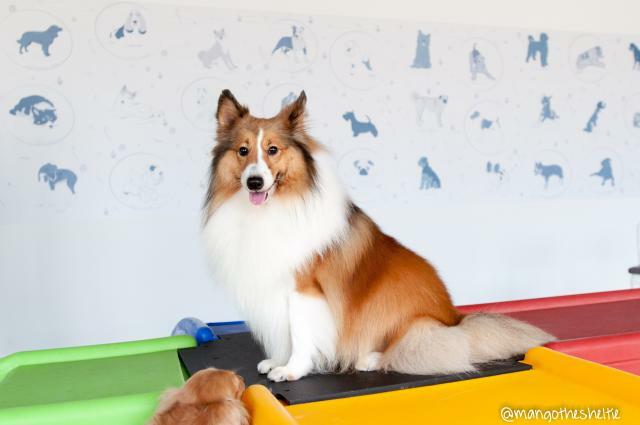 So it’s safer to send your dog to a groomer because a small matt now, will potentially mean a huge matt later, and by then you might have to end up shaving your dog down. And matting is painful for the dog! 😦 And I’d go mad if I had to shave Mango down because I overlooked a matt and it got worse that I had to shave him after trying to get his fur to grow till this for 2 years now. 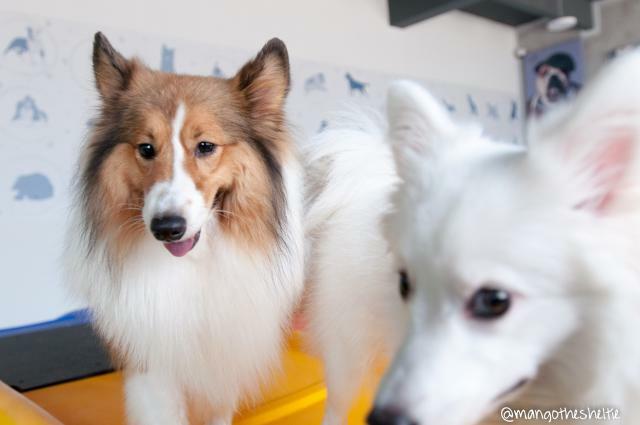 “People underestimate the importance of a good grooming session,“ says Sheryl Chia, Chief Groomer at Wagging Rights. 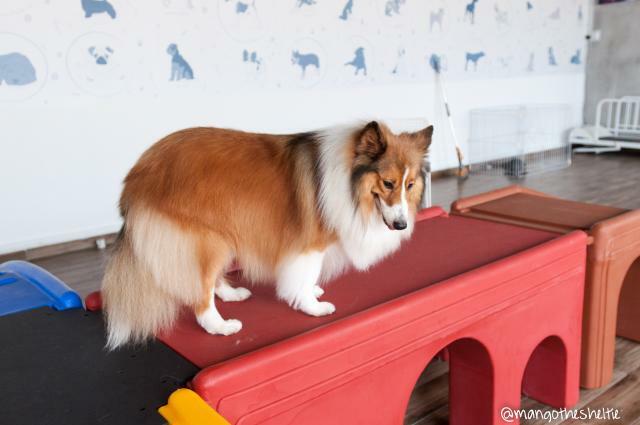 Sheryl was trained in the US and certified by Nash Academy and Sepia Pet Care School in Japan. Address: 337 Joo Chiat Road, Singapore 427590. Appointments outside working hours are available with prior arrangement.